This Christology of Luther became explicit in the conflict with Zwingli over the promised presence of Christ in His own body and blood at the Meal. 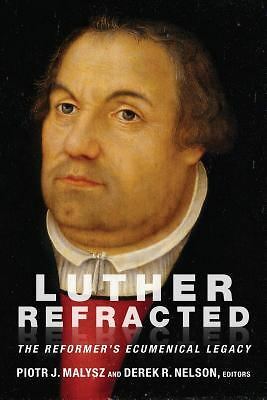 Here Luther distinguished between the faith that believes –his celebrated fiducia, justifying faith from the heart—and the faith that is believed, but not as modern theology thinks, at the expense of the latter. “First, what one should believe, that is, the objectum fidei, that is, the work or thing in which one believes or to which on is to adhere. Secondly, the faith itself, or the use which one should properly make of that in which he believes. The first lives outside the heart and is presented to our eyes externally, namely, the sacrament itself, concerning which we believe that Christ’s body and blood are truly present in the bread and wine. The second is internal, within the heart, and cannot be externalized. It consists in the attitude which the heart should have toward the external sacrament… Up to now I have not preached very much about the first part, but have treated only the second, which is also the best part. But because the first part is now being assailed by man, and the preachers, even those who are considered the best, are splitting up into factions over the matter… the times demand that I say something on this subject also.” What Luther went on to say amounts to a correlation between Pelagian man (whom he had opposed with the doctrine of fiducia as the helpless sinner’s justification) and the Nestorian Christ (which he now opposed with his Cyrillian doctrine of the communication of idioms): the human person who is capable of justifying himself does not need the divine-and-human Christ who became the justice of God by taking on Himself the sin of the world; nor does he need to feed at the Meal of such a Christ, where His sacrifice is remembered and His victory proclaimed on behalf of the perishing, until He comes in final glory. Luther’s Christological dispute with Zwinglian Protestantism has continued through the modern period. That the person Christ is this divine-human object of Christian faith does not entail, as liberal Protestant scholarship beginning with Schleiermacher held, that Luther’s Christology is naively docetist. In fact, the reverse accusation might be made. Schleiermacher knew that admitting the Cry of Dereliction would fatally compromise his doctrine of the human Christ’s perfect God-consciousness: “I cannot think of this saying as an expression of Christ’s self-consciousness.” Appropriating the Antiochene Christology of the Indwelling Logos, Schleiermacher in his dogmatics regarded “the theory of a mutual communication of the attributes of the two natures to one another” as something “also to be banished from the system of doctrine and handed over to the history of doctrine,” since in such a communication “nothing human could have been left in Christ since everything human is essentially a negation of omniscient omnipotence.” But for Luther, it is the latter metaphysics –finitum non capax infiniti—which is to be revised by the concrete reality of Jesus Christ. Indeed, for Luther, the person of Christ is the personal communion of idioms, that is to say, Jesus’s divine Sonship consists in His self-giving obedience to death on the cross, theologically, to His abandonment to the anti-divine powers by His Father in order to become His Father’s very love for those so captive and enthralled. The crucial point of Trinitarian personalism at this juncture was made by the early Lutheran scholastic Martin Chemnitz, who clarified Luther’s speculative exploration of the deity’s “repletive presence” (divine immensity or omnipresence) as a property communicated to the glorified Christ, hence as the condition for the possibility of Christ’s promised Eucharistic presence. Were there such a metamorphosis of natures in Christ, however, it would follow that the man Christ would be present as His personal promise everywhere, just as God is present by nature, automatically, as it were. Such ‘pan-Christism,’ so to speak, is not Luther’s intention; he drew back from this implication already during the controversy with Zwingli by making this distinction: “It is one thing if God is present and another if he is present for you.” Or again, “both God and Christ are not far away but near, and it is only a matter of revealing themselves…” But to be revealed “for you” is a free act of personal will. To substantiate Luther’s distinction here, Chemnitz therefore spoke of the ubivolipraesens of Christ, i.e. that Christ the divine-human person is present as He freely wills to be for us, according to His promise. With this move, Chemnitz was correcting Melanchthon in Luther’s direction. Fearing the confusion or mingling of divine and human natures proscribed by the Fourth Ecumenical Council at Chalcedon, Melanchthon had already retreated in Luther’s lifetime from the latter’s doctrine of the communication of idioms. For the mature Melanchthon, the ascription of suffering to the incarnate Son of God is a way of talking, not of being. At root, that divergence going back to Luther and Melanchthon is why Lutheran Christology is and remains controverted. When Melanchthon’s Christology forms the lens through which Luther is read, and this bias is further underwritten by the modern Kantian-Zwinglian framework of liberal Protestant theology, Luther’s actual Christology is not only rendered inert, but becomes the familiar embarrassment of ‘objectifying the personal’ as body to be consumed in the Eucharist, ‘historicizing the eschatological’ in the exclusive claim for the name of Jesus, ‘capturing the infinite’ in allegedly pure doctrine, and so on. In place of such remnants of “catholicism” in Luther, the reduction of Christology to soteriology, and of soteriology to the felt needs of the present hour, is lifted up as the cutting-edge “Lutheran” contribution to modern theology. But this commendation is as confused as it is historically baseless. Epistemically, we can know Jesus Christ, present for us –truly, as Bonhoeffer went on to say, for us, the Man-for-Others because the Man-from-God– only as a function of God’s apocalypse, that is to say, of the Father’s sharing with us His own Easter knowledge of His Crucified Son by the sending of His own Spirit who had raised him from the grave. The young Wolfhart Pannenberg made the same argument. “There is no reason for the assumption that Jesus’ claim to authority taken by itself justified faith in him. On the contrary, the pre-Easter Jesus’ claim to authority stands from the beginning in relationship to the question of the future verification of his message through the occurrence of the future judgment… Thus has been shown the proleptic structure of Jesus’ claim to authority… This means, however, that Jesus’ claim to authority cannot by itself be made the basis of a Christology, as though this involved only the ‘decision’ in relation to him. Such Christology –and the preaching based upon it—would remain an empty assertion. Rather, everything depends upon the connection between Jesus’ claim and its confirmation by God.” If that is so, then Lutheran Christology cannot sustain the doctrine of the justification of the ungodly apart from a robust Trinitarian personalism, that is, without the Father who recognized His own divine love for the ungodly in His dead and buried Son, nor without the Spirit who recognizes the ungodly as those for whom Christ lived and died by raising them together with Him to faith and new obedience. To proclaim Christ alone requires more than Christology. See LW 36:335; WA 19 482:25 – 483:19; for more on this return to dogmatic theology in the older Luther, see Dennis Bielfeldt, Mickey L. Mattox, Paul R. Hinlicky, The Substance of the Faith: Luther’s Doctrinal Theology for Today (Minneapolis: Fortress, 2008). Friedrich Schleiermacher, The Life of Jesus ed. J. C. Verheyden (Philadelphia: Fortress, 1975) 423. Friedrich Schleiermacher, The Christian Faith, Vol. 2 ed. H. R. Macintosh and J.S. Steward (Harper and Row, 1963), § 97,5 (412). On this see further Chapter Two in Paul R. Hinlicky, Luther and the Beloved Community (Grand Rapids, MI: Eerdmans, 2010). “This is My Body,” LW 37:68. See, e.g., Martin Chemnitz, The Two Natures of Christ, trans. J.A.O. Preus, (Concordia: St Louis, 1971) 278. On this point, see further Paul R. Hinlicky, “Luther’s Anti-Docetism in the Disputatio de divinitate et humanitate Christi (1540)” in Creator est creatura: Luthers Christologie als Lehre von der Idiomenkommunikation ed. O. Bayer & Benjamin Gleede (Berlin & NY: Walter De Gruyter, 2007) 139-185. On this, see further Hinlicky, Paths Not Taken, 162-169. Bergen, Doris L., Twisted Cross: The German Christian Movement in the Third Reich (Chapel Hill, NC: The University of North Carolina Press, 1996); Steigmann-Gall, Richard,The Holy Reich: Nazi Conceptions of Christianity 1919-1945 (Cambridge University Press, 2003). Dietrich Bonhoeffer, Christ the Center trans. Edwin H. Robertson (NY: Harper & Row, 1978) 37-39. Wolfart Pannenberg, Jesus: God and Man trans. Lewis L. Wilkins & Duane A. Priebe (Philadelphia: Westminister, 1975) 66.